In a prequel to the original Puppet Master, the puppets are alive in well, vindicating the loss of Andre’s wife Elsa, who is murdered by Nazi leader Major Kraus. 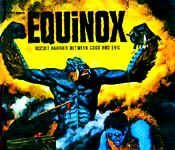 Andre Toulon seeks revenge on Major Kraus and any other Nazi’s in the way, with help from his secret weapon of living murderous puppets. 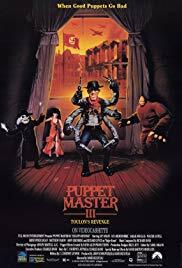 Toulon’s Revenge, in my opinion is hand’s down the second best film in the Puppet Master franchise, which digs deeper in the past of Andre Toulon and his puppets. Toulon’s Revenge is great because it gives the viewer a feeling that the characters are actually facing adversity from the ruthless Nazi government in Germany. Major Kraus is a menacing villain, showing no mercy to anyone he comes into paths with in the film. The quarrels between business partners Major Kraus and Dr. Hess provide a great subplot as the puppets and Toulon are trying to put an end to their master plan. The remaining characters and puppets are very defining and have strong character development. Guy Rolfe is iconic throughout the franchise for his portrayal of Andre Toulon in Part III, which is widely favored by fans as the best Andre Toulon characterization. The movie also introduces identities and explains symbolisms of two of the main puppets, who both play large roles in the franchise.